When the Mamluk general Imad-ed-din Zangi died, he was succeeded by his son Nureddin, who added Damascus to the land his father had gathered together. 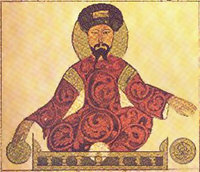 And after Nureddin died in 1174 AD, a strong Kurdish general named Salah al-din (called Saladin in the West) took over. Salah al-din soon conquered Egypt from the Fatimids, and then he was strong enough to begin fighting the Christian kingdoms in Israel and Lebanon. In 1187 AD, Salah al-din took Jerusalem. Again the people of Europe were very upset. The pope urged the kings of Europe to unite against Salah al-din, and in the end Richard the Lionhearted, the king of England, Philip Augustus, the king of France, and Frederick Barbarossa, king of Germany and Holy Roman Emperor, all went to Jerusalem. A special tax in both France and England raised money for the crusade. But the Third Crusade, like the Second, ran into a lot of trouble. Frederick died on the way to Jerusalem, drowned when his horse fell down as he was crossing a river in armor. Most of his soldiers went home after he drowned. Meanwhile Richard and Philip went by boat to Jerusalem. 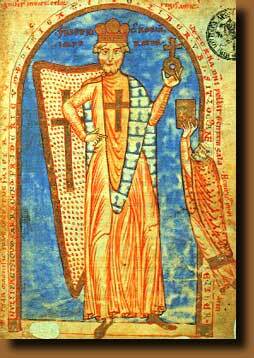 Richard conquered the island of Cyprus on the way to Jerusalem, but he conquered it from a relative of the Roman Emperor, who therefore became Richard’s enemy. The French and English armies besieged Acre (AH-kerr), the main seaport of the area, and managed to take it, but only after a siege lasting almost two years. 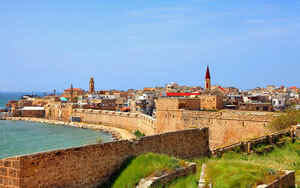 Richard killed 2700 prisoners taken at Acre because their ransom was not paid by his deadline. But after the victory at Acre, Philip had had enough of the crusade. He went home to France, where he kept busy attacking Richard’s possessions in France. All alone, Richard and his English soldiers could not beat Salah al-din, and finally in 1192 he and Salah al-din made peace, on very reasonable terms. Christian pilgrims were to come and go freely from Jerusalem, and Salah al-din promised not to attack what was left of the Christian kingdom for many years. Richard left for home. But on his way home across Germany, Richard was captured by the new German emperor, Henry VI. 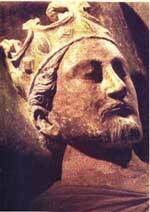 Henry disliked Richard because Richard had promised to support King Tancred of Sicily against Heinrich. Henry kept Richard in jail and sent messengers to Richard’s brother John demanding a huge ransom in exchange for releasing the king. Richard and John’s mother, Eleanor, negotiated the terms of Richard’s ransom. In the end John had to pay more than three times the normal amount of money England made in a year. John had to call for new taxes. Richard finally got home in 1194. Cite this page: Carr, K.E. Third Crusade – Medieval history. Quatr.us Study Guides, August 3, 2017. Web. April 20, 2019.